This revolutionary brewer lets you brew up to three cups of coffee in just a minute. 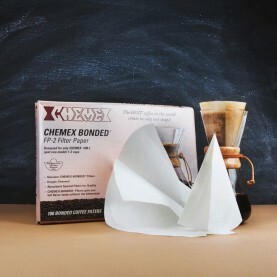 Its unique total immersion brewing process gives you delicious coffee without the bitterness. The micro filters make sure there’s no grit in your perfect cup of coffee. 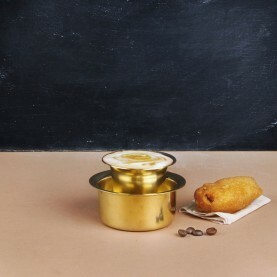 Brew a Classic American or an espresso or have a latte with The Flying Squirrel’s Sattva, Parama or Aromatique. This equipment ships with a 50 gms trial pack of Sattva. Brewing with this medium dark arabica will work best for the espresso-style brewing of the Aeropress. Get up to 3 cups of rich coffee in a minute with the Aerobie Aeropress’s rapid, total immersion brewing process. Brews regular American style coffee with no bitterness. Get espresso style coffee for use in lattes and other espresso based drinks. The micro-filter used ensures zero grit in your cup (unlike a French press). It is easy to clean and takes only a few seconds. Available with zippered nylon tote bag - great for travel Bisphenol-A (BPA) and phthalate free. The AeroPress coffee maker is a revolution in the home brewing scenario. AeroPress brews coffee under ideal conditions: proper temperature, total immersion, and rapid filtering. Resulting in amazingly delicious coffee with a wide range of beautiful flavours, without any bitterness and with very low acidity. 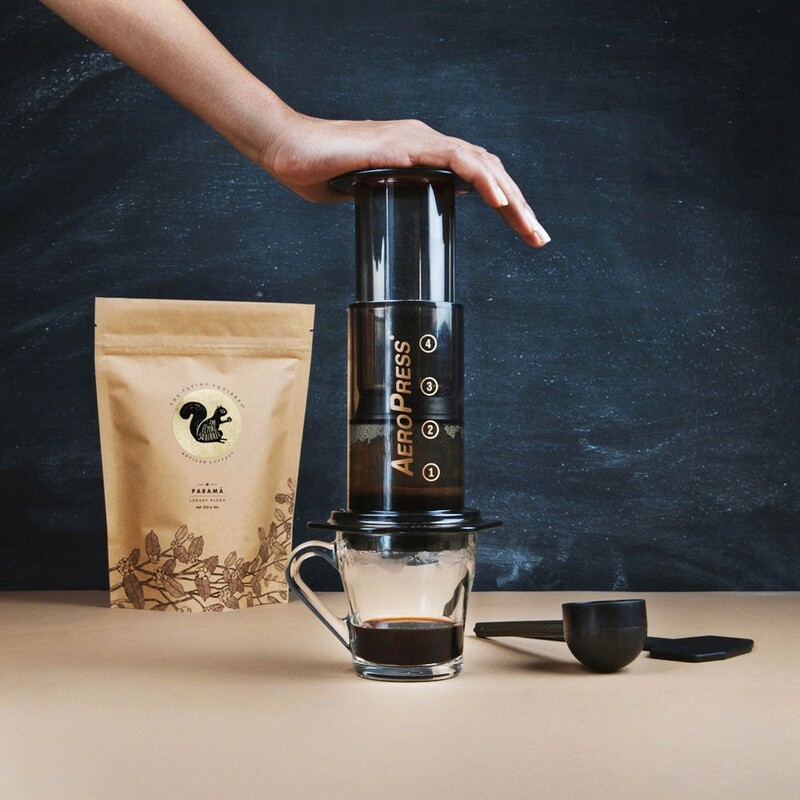 Since its introduction the AeroPress has become a much beloved brewer for coffee connoisseurs and professionals around the world. The AeroPress is ideal for home kitchens. It is lightweight, compact, and durable, making it ideal for use when camping, backpacking, boating, or travelling.